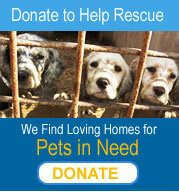 Help Us Rescue More Pets in Need... Make a Donation, Today. You Can Make a Difference in Their Lives! Retrievers and Friends of Southern California (RFSC) provides refuge, love, care, compassion, and adoption services on a daily basis. Your contribution means a lot to our organization and much more to the homeless dogs and cats that depend on RFSC to survive. The homeless animals that are brought to RFSC are given the opportunity to find a loving compassionate home thanks to the help of caring people who volunteer and also donate. Your tax-deductible donation to RFSC will allow us to continue to save the lives of countless dogs and cats and provide them with shelter, love, care, and the medical attention they need as they wait for a new family. As a non-profit, all volunteer organization, we rely strictly on donations to raise the money it takes to rescue, rehabilitate and care for the dogs and cats in our program. Every penny you give goes to help the animals. Learn more about HONORARY & MEMORIAL DONATIONS, at the bottom of the page. YES! I would like to support the mission of Retrievers and Friends of Southern California. TO DONATE ONLINE: Click one of the yellow buttons to the right. Retrievers and Friends of Southern California, Inc.
We are grateful for any donation you can give! NOTE: Retrievers and Friends of Southern California is a 501(c)3 non-profit public charity, and your donation is tax deductible as allowed by law. IF YOU WOULD LIKE TO BE CONTACTED PERSONALLY, we will gladly be in touch. Specify the exact dollar amount here. Type comments or questions here. Make a donation in honor of someone special. Anniversaries, birthdays, and Hanukkah are great occasions to honor someone with a gift to RFSC. A personalized card will be sent to notify the honoree of your generous gift. A tax receipt for the non-profit donation will be sent to the donor. 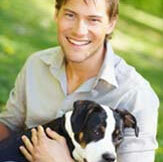 Memorial donations can be made to RFSC in remembrance of a special person or pet. The family of the deceased will receive a handwritten notification of the gift. To make an honorary or memorial donation please send an email to info@retrieversandfriends.com, or call 951-696-2428. Can you possibly help with a donation of supplies or services? Please learn more about how you can contribute with a supplies or services donation. 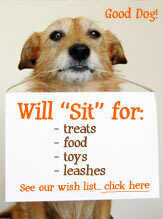 Monthly donations will occur once a month for 12 months. You may cancel the monthly donation through your PayPal account at anytime.